During their first day in Panama, Polk State business students visited Esri Panama, which builds ArcGIS mapping software. It was an early morning for a group of Polk State business students and employees bound for Panama on Friday. Still blurry-eyed, the travelers arrived at the Orlando International Airport around 4:45 a.m., gathering at the Copa Airlines check-in desk. Some had managed a few hours of sleep the night prior, others had barely managed a few minutes. Waiting for airline personnel to begin checking baggage and printing boarding passes, however, the exhaustion gave way to excitement. Among the members of the group is Orlando resident Malinda Gleaton. Last fall, she completed her Associate in Science degree in Supply Chain Management at Polk State. With the ultimate goal of going into the civil service, she decided to continue on at Polk to earn her Bachelor of Applied Science in Supervision and Management. Torrey Muhammad earned his Associate in Science in Business Administration from Polk State. Five years ago, he started an air conditioning business, and soon realized that if he was to outpace the competition, he needed more education. He is also pursuing his Bachelor of Applied Science in Supervision and Management, and is traveling to Panama to learn about international trade. Soon, he aims to be selling air conditioning parts and supplies to foreign developers. Casmore Shaw is completing his Bachelor of Applied Science in Supervision and Management and will soon head to the University of Central Florida to earn a master’s degree in education. Traveling to Panama will introduce him to yet another culture so that he will be better equipped for connecting with students of diverse backgrounds. Accompanying the students during their tour of Panama are Associate Vice President of Strategic Initiatives and CIO Naomi Boyer, Business Program Director Maria Lehoczky, Business Professor Herb Nold, Central Florida Development Council representatives Spiros Balntas and Sean Malott, and Madrid Engineering President Larry Madrid. The latter three are traveling to the country to explore business opportunities. 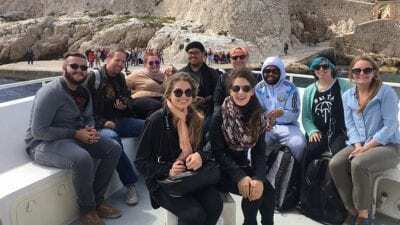 After snaking through the airport security line, and getting the long-awaited group shot at the gate, the travelers settled into their seats for the three-hour flight to Panama City. After landing, they toured their home for the next six days: the City of Knowledge, a former U.S. Army base that now hosts businesses and students from all over the world. 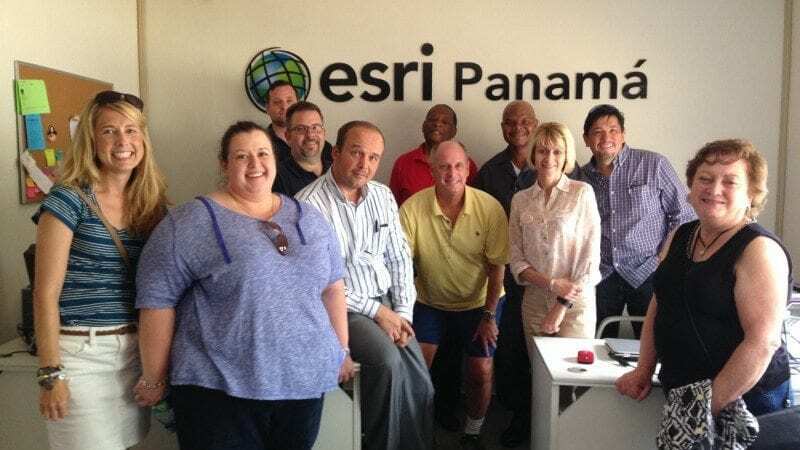 They also visited with Esri Panama, which builds ArcGIS mapping software. Their day ended with traditional Panamanian cuisine and entertainment ­— and with the early certainty that this would be a Spring Break they would never forget.